Many, many years ago, there was a huge and venomous snake. It was so large and so long that its size was not measured in feet, but in miles. Its head was at what is now known as Morgan City and its body stretched beyond St. Martinville and Breaux Bridge to its tail, which rested in Port Barré. 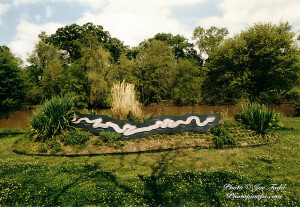 This enormous snake had been an enemy of the Chitimacha for many years, doing a lot of destruction to their ways of life. One day the Chitimacha Chief called together his warriors and had them prepare themselves for battle with their enemy, the snake. In those days, there were no guns that they could use to destroy the snake. All they had were their clubs and bows and arrows, the arrow heads being made not from flint, but from a large bone from the local garfish. Of course, a snake over 124 miles long could not be instantly killed. The warriors fought courageously to kill the enemy, but it fought just as hard to try to survive. As the snake turned, coiled and twisted in the last few days of a slow but sure death, it broadened, curved and deepened the place wherein his huge body lay. As his body decomposed, the place began to deepen more. 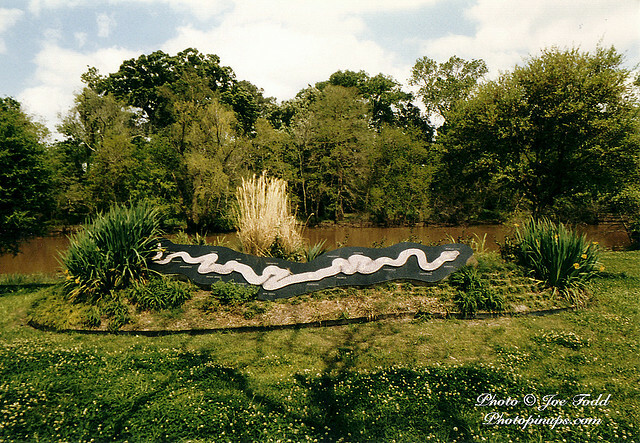 The Bayou Teche (”Teche” meaning “snake”) is today proof of the exact position into which this enemy placed himself when overcome by the Chitimachas in the days of their strength.